Starting from bottom left: e.l.f. 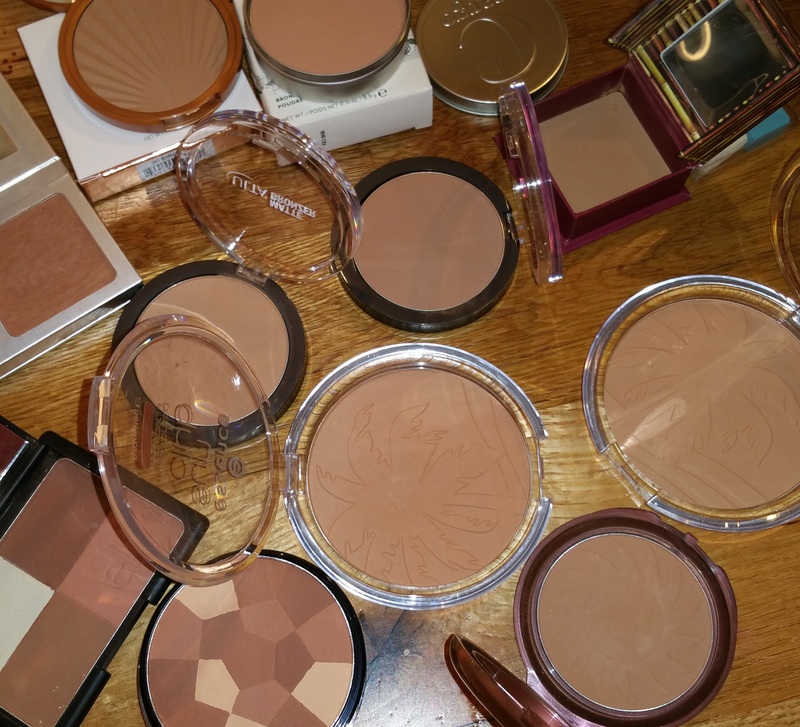 Cool Bronzer, NYC Color Wheel – All Over Bronze, and Smooth Skin Bronzing Face Powder; Second row right to left: Essence Sun Club – 01 Natural and 02 Sunny; Third row: left to right: Ulta Matte Bronzer Warm and Cool; Top row right to left: Benefit Hoola, Cargo Matte Bronzer – Medium, Laura Geller Matte – Medium, and It Cosmetics CC + Bronzer. Any time of year is good for a new bronzer. While I have some deep cosmetic loyalties to eye makeup (mascara: Lancome Définicils – Black, primer/ shadow base: Trish McEvoy Eye Base – Sand, and eyeliner: Trish McEvoy Gel Eyeliner – Arabian Nights), I vacillate on face color. Yet ironically, bronzer is the type of makeup I’m most attached to. I usually have at least two powder bronzers and one cream (such as Becca Bronzing Skin Perfector) in my makeup bag and several in my vanity. I do like blush, and I love eyeliner and mascara. But I’d be unhappy without bronzer. It so happens that I’ve come across many too shimmery bronzers lately. I feel silly wearing anything more eye-catching than an opalescent powder on my face on an average day. 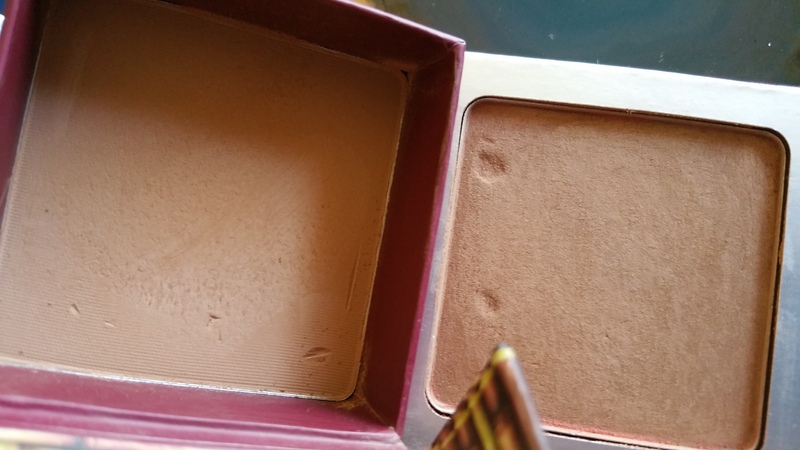 I looked in my vanity and discovered I was shamefully low on matte bronzers. So…. I went shopping! 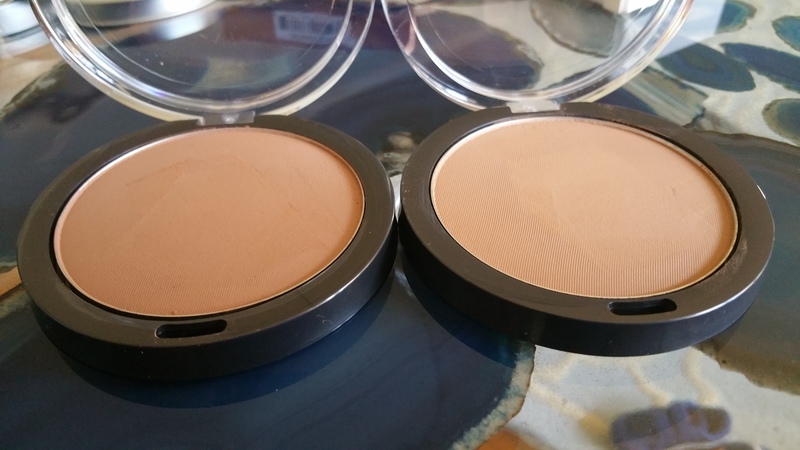 Today I have a total of eleven matte bronzers to show you. I could do a full post about any single one of these bronzers, but I want to instead give you an aerial view. 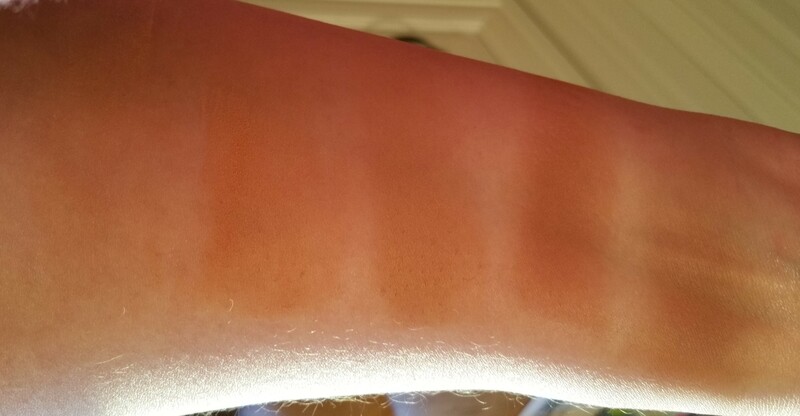 Five of these bronzers are in the drugstore/ inexpensive category, two are mid-priced, and four are higher priced. I didn’t bring in any luxe brands here, such as Chantecaille or Givenchy. However you can always find more options in the luxe category! Let’s get some details here! 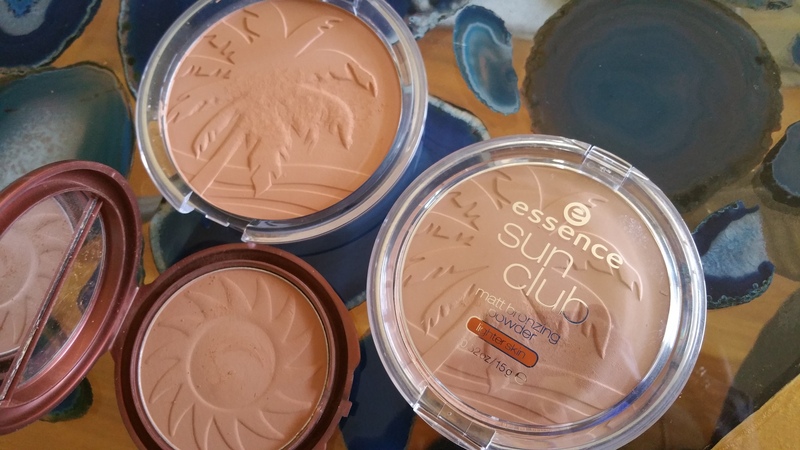 I want to note that the Essence bronzers are huge – at .52 oz they are almost twice the size of some of the others. E.l.f. also gives you a lot of product but in 4 different colors. 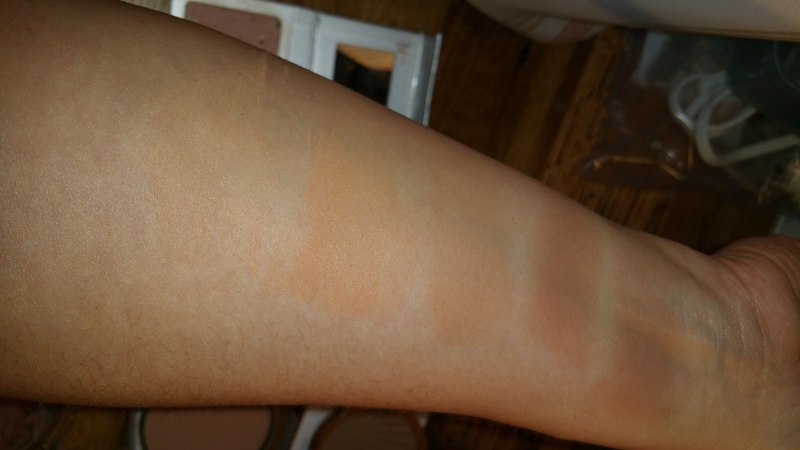 Of all eleven shades, you can see that some are just too light or too yellow for me (Essence 01 and 02, Ulta Warm, and Cargo). The shades I like to wear are the pinker and darker ones, with Benefit Hoola being my favorite. 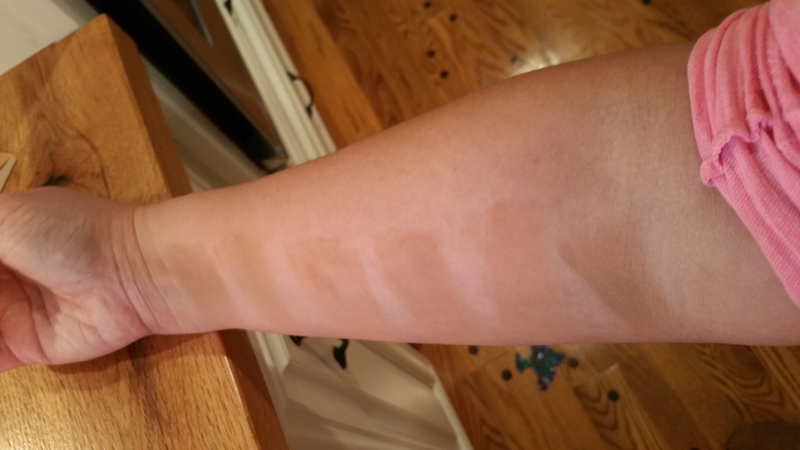 I find that Cargo bronzer doesn’t get picked up very well by make-up brushes, so that is not a favorite even if it were dark enough. 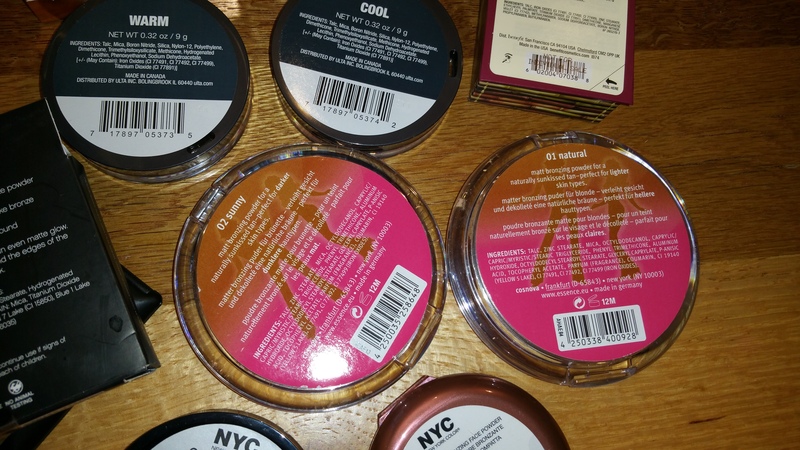 I was impressed by the creamy consistency of the NYC bronzers and the Ulta bronzers. I genuinely like Ulta Cool, Laura Geller, and Benefit. 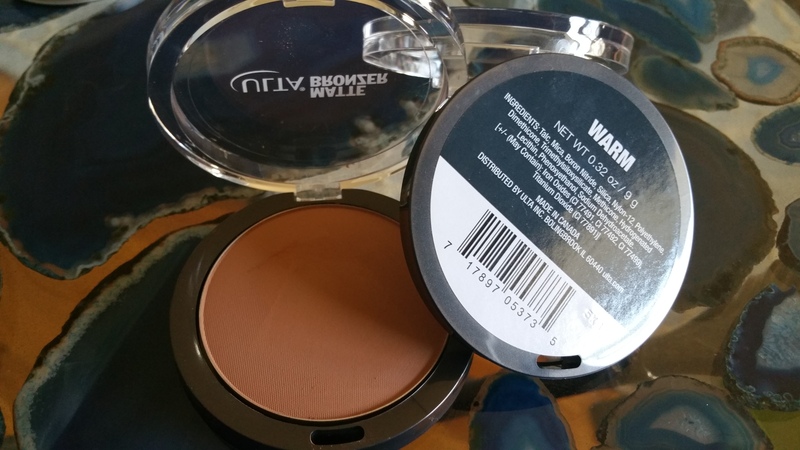 I use It CC + Bronzer because it’s part of a palette and I swirl together the bronzer and the coraly blush for really bad days! (I typically wear pink blush). 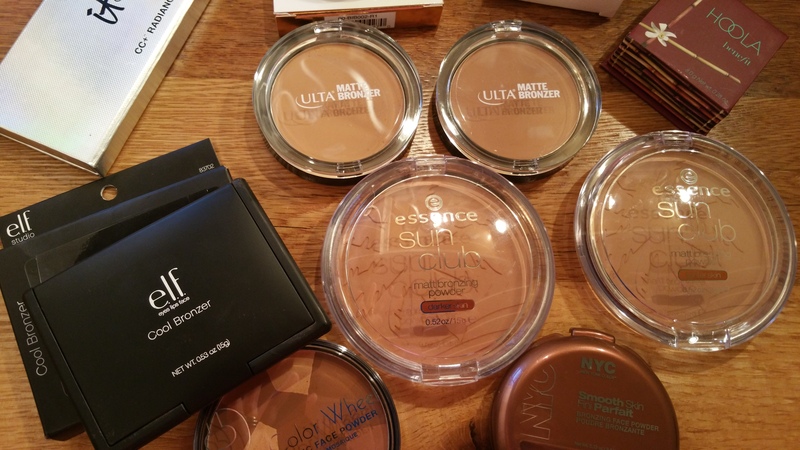 Overall my picks for matte bronzers are e.l.f. and NYC for drugstore bronzers, Ulta for mid-priced bronzers, and Benefit Hoola for the higher end. Remember, I didn’t include anything from the higher and highest ends ($50 and $90 plus, respectively). I’m curious what you all think about bronzers. If you use one regularly, do you like to wear matte, luminizing, opalescent, metallic, or shimmer? Or do you switch it up? What matte bronzers did I overlook that you think are great?